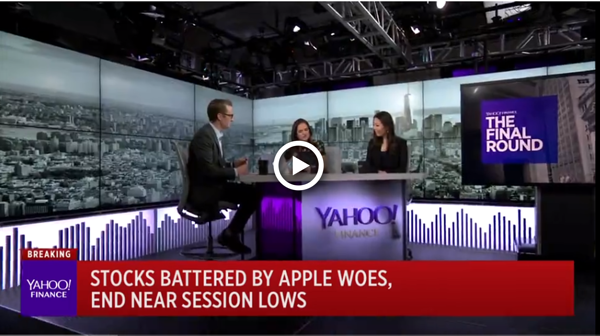 Edison Vice President Jennifer Lee recently joined Nasdaq Global Markets Reporter Jill Malandrino and Yahoo Finance's Myles Udland and Seana Smith on January 4th to take a look back on 2018 and discuss what’s ahead in 2019. 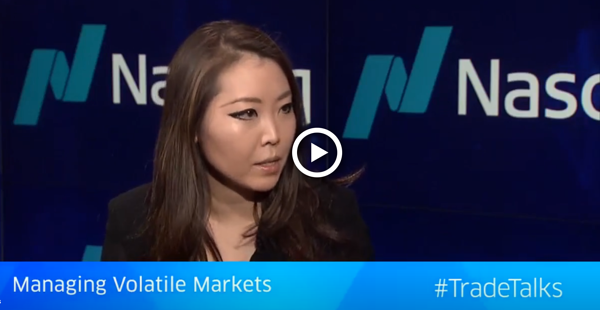 Jennifer shared her views about the wild market swings, the looming uncertainties and implications on 2019, fintech trends, and how the private equity landscape continues to evolve. Here’s a condensed summary. It’s not a secret that we have a lot of capital sloshing around. We’ve actually surpassed $1.14 billion – think we’re almost at $1.2 billion – in committed capital in private markets, with around 1/10th in venture capital and 9/10th in private equity. This is all long-term capital as well. This all boils down to: lots of activities, lots of high valuations, increased competition both in terms of companies and investments, and high pipeline for IPOs and big exits as well. All very exciting. Coming off of 2018, it was yet another massive bull year, but I think the uncertainty was always there, including the last few months of volatility. That’s obviously continuing as the new year starts. I think everyone is watching very closely and nobody really knows what’s going to happen, but in the private markets, I do think the activity is very strong and will continue to be because there’s a delayed trickle-down effect between public and private markets and that massive slush of capital isn’t going anywhere either. Alternative assets – especially private equity as a class – is still extremely strong in terms of appetite, so we foresee a lot of interesting deals that can happen in the industry and in the exit pipeline. Companies will continue to have the luxury of staying private longer as well. For 2019, I foresee a real shakeout where companies with strong business fundamentals will continue to perform well, and those without, won’t. In 2018 we saw a lot of collaboration across the board, whether it be with financial institutions (incumbents) all the way to regulators who are actually embracing more of the fintech trends and technologies, which we think is very encouraging in terms of figuring out how to encourage innovation rather than having a traditional “gotcha” mentality. We also continued to see a lot of movement in financial inclusion, and more specifically democratization of financial services where certain asset classes that were only available to certain types of investors i.e. institutional are now starting to be available to others including retail. We think it’s just the beginning on this democratization and there’s a lot of great companies addressing this as well with significant movements, which is all a part of a larger financial inclusion piece and has been a trend for the last couple of years, that’s really taking shape servicing the underbanked and so on. Finally, re-bundling of financial services is still happening and 2019 will really be the formative year to create strong, big players within the fintech landscape who truly cater to the real market needs. One interesting thing to note is that, despite the continued bull market in 2018, the number of IPOs between 2017 and 2018 have been the same. You’ve got 19 IPOs in 2017 and 19 IPOs in 2018, and yet there was an increase in both the number of unicorns and the number of companies in the IPO pipeline; everybody’s projecting somebody to go public. So, when you put it all together I think it’s going back to that luxury of being able to stay private longer because of that record amount of private capital that’s in the marketplace that wasn’t there before. This is new compared to, let’s say, 10 years ago, where the private capital levels were drastically different. So all of those things create this interesting dynamic, where my guess is as good as anybody else’s guess in terms of who is going to go public next. I know we all talk about Lyft and Uber. We talk about Airbnb, we talk about Slack – a lot of consumer driven businesses. We have some interesting ones on the B2B side too like Dataminr, and I know people are projecting that this might be the year for Palantir. Regardless, I think that because of the volatility, investors will want more of fundamentals-driven, growth-driven companies that are more focused on their unit economics and business metrics; not the high flyers who are solely riding on hype. That’s an interesting question and I do think that there was a period in time when that discipline was lost by some industry players. Now, recent volatility has, I think, shifted that, at least coming from the investor side of things. We, for example, our firm – and several other firms out there as well – tend to be more disciplined in looking for those specific companies who have strong fundamentals and invest in those who can eventually become public companies. When I say there was a period in time when the discipline was lost: yes, there has been a bit of a hype mentality driven by just the sheer amount of available capital and people have to deploy it somewhere – increased competition, high valuations … all of those things come into play. At the end of the day, it’s not a one or two factor story; it’s more of a landscape narrative with multiple push and pulls. This all goes back to my previous point, where I think 2019 is indeed the shakeout year in the sense that those high flyers based on hype only without discipline will come down and get to the point where you actually can’t sustain that anymore, in the midst of everything else going on. But companies who have been focused on fundamentals, unit economics, cash burn, and so on are really going to thrive, regardless of whether we come out of this volatile environment or not. I think it’s that kind of year. Click here for more of Jennifer's perspective on fintech and investing.